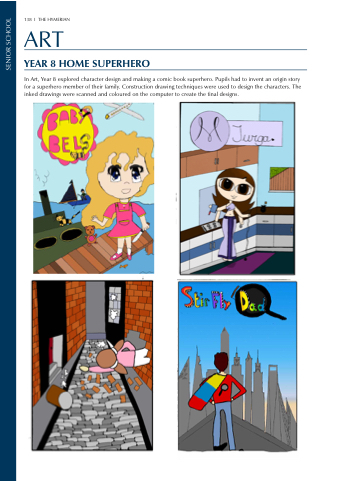 In Art, Year 8 explored character design and making a comic book superhero. Pupils had to invent an origin story for a superhero member of their family. Construction drawing techniques were used to design the characters. The inked drawings were scanned and coloured on the computer to create the final designs.